Due to advances in technology, the Carrera has a broad appeal. Experienced thermal/XC pilots—”weekend warriors”—will benefit the most from choosing the Carrera. The Carrera replaces the Tribe (EN C) in our paraglider range. 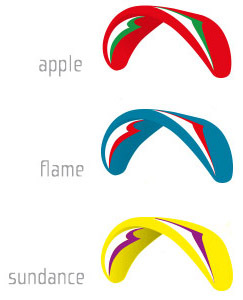 The Carrera shares its DNA with both the Boomerang 9 (competition class) and the Atlas (easy intermediate class). EPT, our own numerical method of calculating the best possible airfoil parameters for any given profile, has led to improvements in inflation/re-inflation behaviour, climb, and stability in turbulence and at speed. As a result, we have been able to increase performance by increasing the aspect ratio of the wing, but without sacrificing handling and stability. For a wide range of suitably experienced pilots, we believe the Carrera will hit the “sweet spot”, combining performance, handling and safety in a compact and sporty package. Everything about the Carrera is designed with maximum efficiency in mind. Attention to detail during design and manufacture has resulted in an exceptionally clean sail. The wing inflates with the gentlest of pulls and settles above the head with the minimum of pilot input. 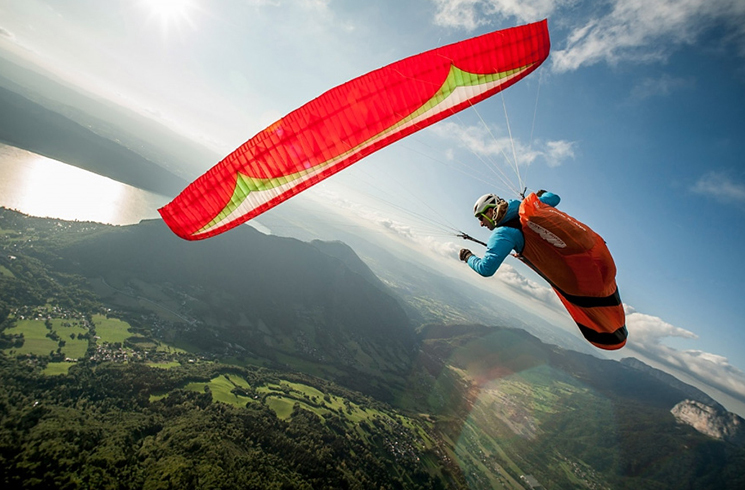 The handling is precise and progressive with a “gentle-but-firm” feel, ideal for long thermalling flights. The wing gives informative feedback in thermals and transitions, helping you pick the best lines. Yet at the same time, it damps out turbulence very effectively, allowing you to concentrate on your next move. Acceleration is smooth and progressive due in part to split A and C risers, helping you glide to the next thermal as efficiently as possible.